for big files (1 MB+) you will love! 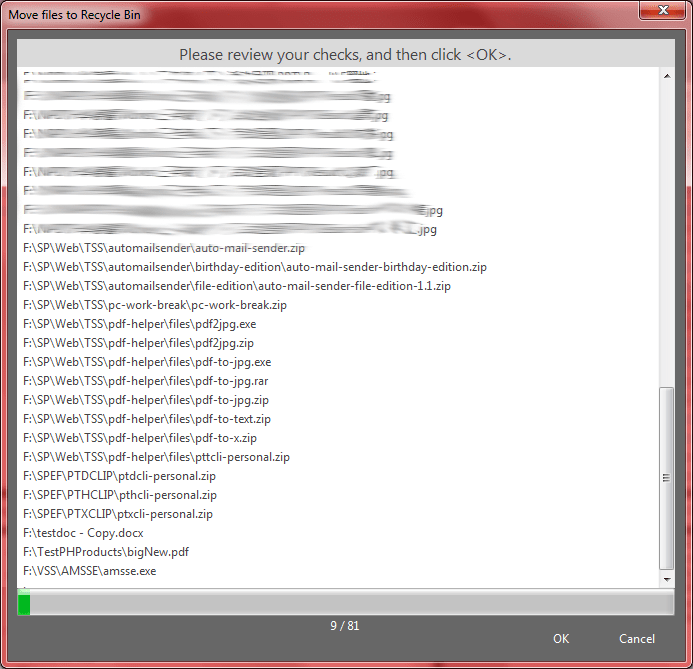 so please review the checked files carefully before delete them! more powerful and compares file content. 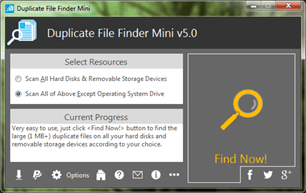 Duplicate File Finder Mini is a 100% freeware that used to fast find and clean the large (1 MB+) duplicate files on all your hard disks and removable storage devices, so as to recover your valuable disk space. It works very fast, usually, doing a fully finding only spend a few seconds depending on the size of your drives (about one minute per 300 GB files). Moreover, it's easy, you will get you wanted just by clicking the "Find Now!" button. The result will be shown instantly after a finding done: sorting by size in descending, marking the adjacent duplicate file groups by different colors, showing the name, path, size (MB), type, date modified of all files, just for operating them conveniently. And you can do some common actions for the checked duplicate files / highlighted file in the result listing, such as Save, Load, Move to Recycle Bin / Other Place, Delete, Open/Run, Open File Location, Find, Uncheck All, Invert Checks, Show Properties and Copy Full Path. Sure, you can use some options (e.g. 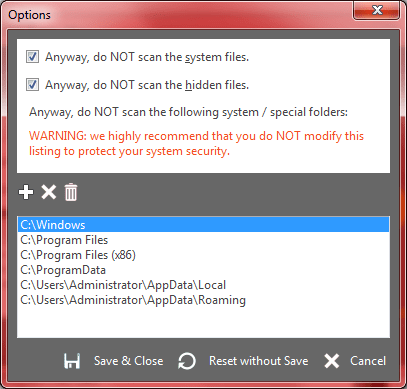 whether scan the system / hidden files and exclude the system / special folders or not) to affect the final result. Please note that it is not only used to save your disk space, but also reduce the management costs and avoid the unnecessary confusion via found and deleted the redundant duplicate files. At last, two matters needing attention: 1. Only large files would be scanned (1 MB+), because the normal PC users don't care about the small files which can only recover a little disk space. 2. 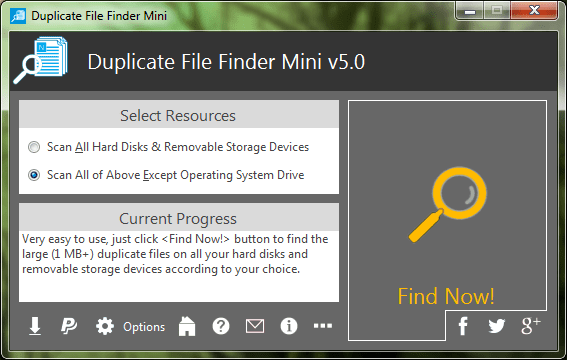 The Mini edition compares files by size, not file name or last modified date. And it does not compare the file contents, however, for the large files, it can ensure the most duplicate files are right, but not 100%, so, please carefully remove the very small part of the uncertainty duplicate files. Duplicate File Finder Mini is 100% Freeware, if you think it is good, it's welcome for you to support it by Making Donation, Writing Article or Comment, Recommending to Friend and Linking to Your website. As you see, it is very easy to use, just click the <Find Now!> button to get the result (large duplicate files) with fast speed. All things are very simple, just try it, and it is 100% FREE. As you see, on the start interface, the "Scan All Hard Disks & Removable Storage Devices Except Operating System Drive" option is selected by default. Why? Because: 1. System drive already has some duplicate files by default, such as some DLL files. 2. Mistakenly deleted the files in system drive may cause the Operating System or some software cannot work properly. 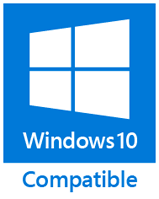 So, even you scanned system drive, we still recommend you do not delete the duplicate system files (such as .DLL, .EXE, .OCX), except these files are not located in the system folders (such as Program Files, Windows, Application Data). Click the <Load> button (bottom left, first). Check the needful file for each group, and then click the <Invert> button to invert the checks, at last, click the <Delete> button to delete all other unwanted files. 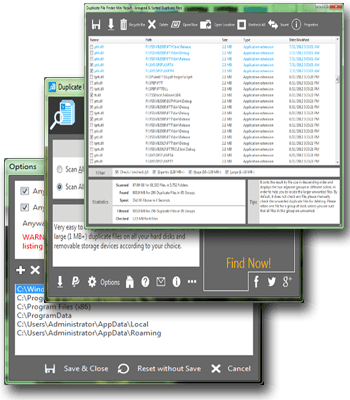 In order for your computer to run smooth, besides protecting it with and antivirus, a good idea is to use cleaning applications, such as this duplicate cleaner free. You can quickly scan the computer and any attached storage devices for files of the same size and remove them to get more precious space. The main window of the application is pretty small, but manages to squeeze in everything you need to work with. Most space is taken up by rather unnecessary buttons that either let you spread news about the application over various social network sites, or take you online for various reasons. Luckily, the "Find Now!" button captures your attention from the start, so you clean the computer as soon as possible. There are two scanning options available, one that includes every storage device, and the other same as above except the drive where your operating system is located. This makes it pretty easy to use, but a more thorough selection method would have come in handy, as you can get stuck with no result if only working with one partition. Hitting the big "Find Now!" generates a result in a matter of seconds. A new window is brought up where duplicate files are enlisted, and sorted by default according to size in a descending order. 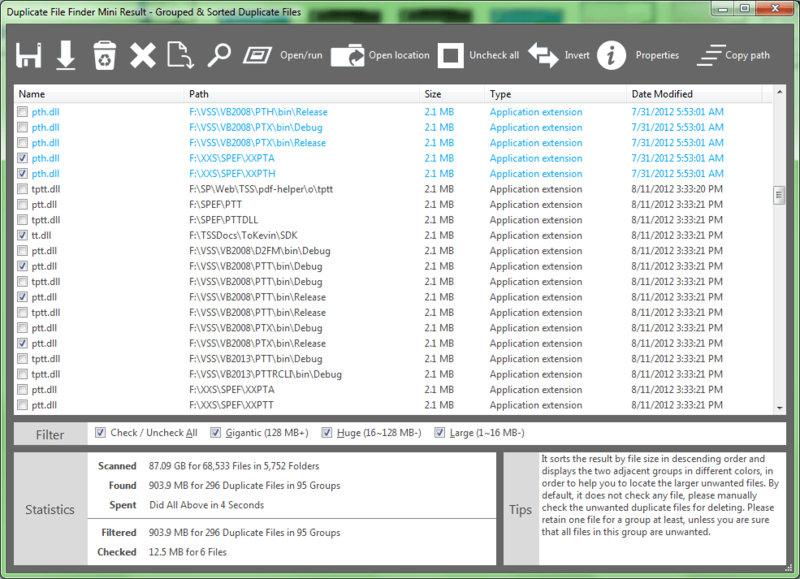 In case you are unsure whether to clean a file or not, you can open its location or run it to see what it's all about. By default, all files are left unchecked so you don't accidentally clean any file that could damage your computer if removed. Taking everything into consideration, we can say that duplicate file finder free gives a helping hand in cleaning your computer and freeing up a little more space on your hard disk drive. It can only detect files larger that 1MB, but it does a pretty good job. In case you need a little extra space, or just consider it's spring cleaning time for you computer, give this little utility a try. I: added the [Date Created] column to the result list. I: added the "Find" function to the result interface. I: Standardized a few shortcut keys, made them consistent with Windows, such as use <Alt+Enter> to display resource properties window (previous versions use <F4>). Optimized the text color of the warning message on the Options interface (friendlier). I: if you loaded result from main interface, the listing is not sorted by size in descending order. Adds the result filter (by size). Does not need your confirmation for every file, only asks one time (with file counts) for all unwanted duplicate files before cleaning. The more reasonable size categories. Adds the following prompt to the result interface: It sorts the result by file size in descending and displays the two adjacent groups in different color, in order to help you to locate the larger unwanted files. 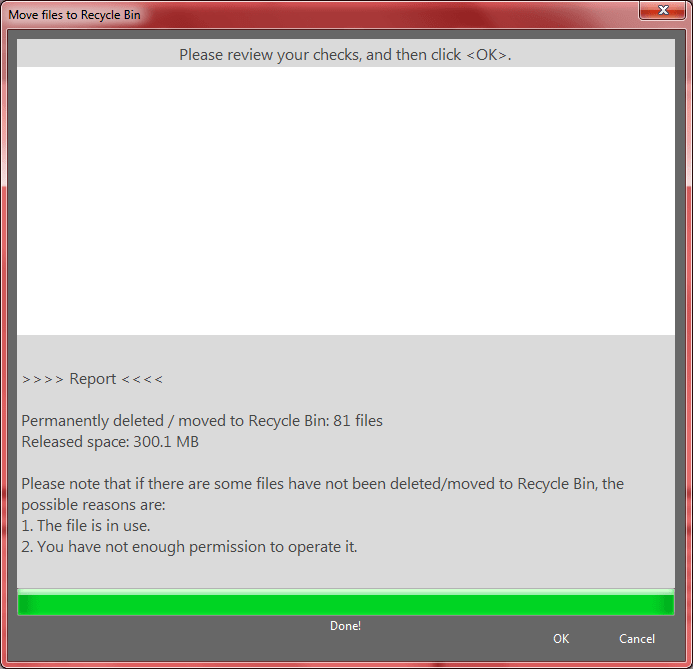 By default, it does not check any file, please manually check the unwanted duplicate files for cleaning. Please retain one file for a group at least, unless you are sure that all files in this group are unwanted. Asks you to know the details of Plus edition when the result shows. Sometimes, it does not set the colors for the adjacent groups properly after clean all files under a group. Added function: Show Properties for the checked duplicate files. Added option: check system drive or not. Added the following functions to the Result interface: Move to Recycle Bin, Uncheck All. 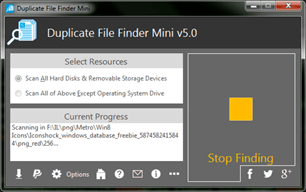 I'm using Duplicate File Finder Mini, it is used to find and clean the large (1 MB+) duplicate files on your hard disks and removable storage devices, so as to recover the valuable disk space. It works very fast (about 1 minute per 300 GB files).